The Big Chill Pro Line combines the best in present-day performance and contemporary design. Crisp, modern lines, silver trim, and bold colors make functionality feel fabulous. 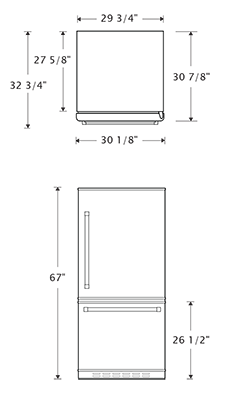 This refrigerator radiates sleek style and adds fresh harmony to any kitchen. We built a spacious bottom freezer into this fridge for easy-to-hand access of the most used items inside. The Pro — our newest addition to the line — comes complete with 18. 5 cu. ft. capacity, gallon door storage for milk or juice, and two, half-width clear crisper drawers so you can see what’s inside. 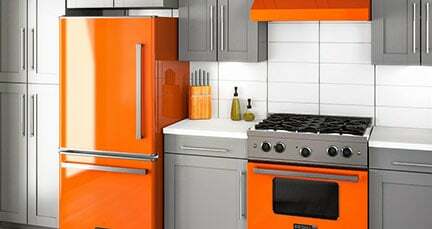 It’s Energy Star rated and fully equipped to meet modern kitchen demands. 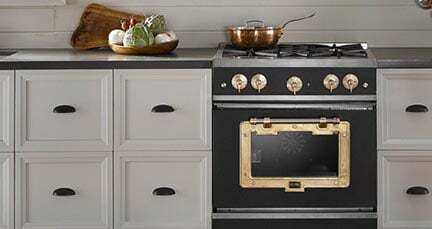 The Big Chill Pro comes in 12 standard colors selected for bold elegance. Or add a personal touch when you choose from more than 200 custom colors for a look refined just for you. 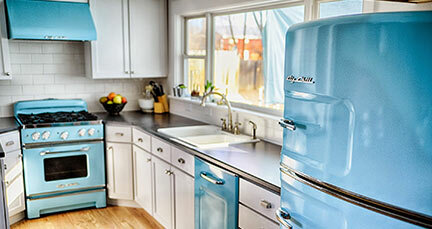 "This refrigerator from Big Chill is a statement piece" - HGTV's "Kitchen Cousins"